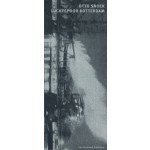 Otto Snoek photographed the railway bridges in Rotterdam in their last years of existence. One hundred and twenty-three panoramic photographs in a heartbreaking book. Text in Dutch by Sandra Smets.